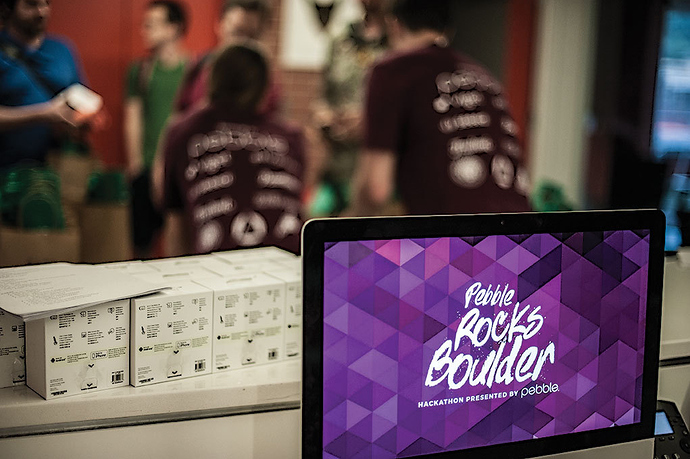 I am proud to announce that a small team has created the first ever secure, contactless payment transaction on a Pebble Time this past weekend at the Pebble Rocks Boulder Hackathon event in lovely Boulder, Colorado. 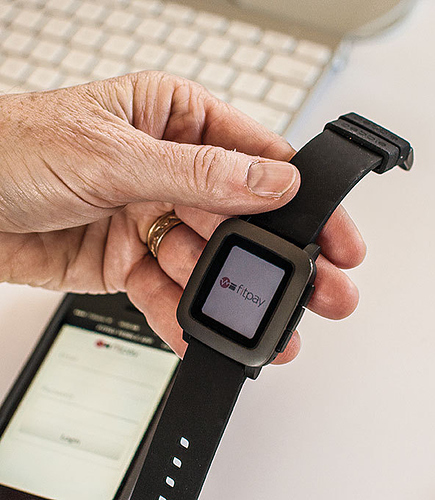 The solution uses NFC, with tokenized card data stored on a secure element inside the strap. Just like Apple Pay, a simple tap at any contactless point-of-sale terminal will complete the sale. The watch will be immediately alerted to the transaction in the timeline. Great idea, congratulations on being first to it! You guys plan on making it for other devices like Fitbits too? Indeed, we are. We have created a technology platform to enable payments and other secure authentication services (think transit, ticketing, access control) for ANY wearable device. We are already in conversations with some of the big players in the ecosystem and we're eager to be introduced to any device manufacturer looking for these services.